Another wrestler with roots in the Alberta independent scene is purportedly heading to WWE. As first reported by Wrestling Inc, Rachael Ellering is among the listed names rumoured to report to the WWE Performance Center in February. Ellering, a native of St. Paul, Minnesota, has previously wrestled for WWE in both editions of the Mae Young Classic as Rachael Evers. Additionally, Ellering has wrestled a number of matches for the NXT brand including against names like Alexa Bliss, Liv Morgan and Ember Moon. Ellering’s Alberta connection is well-documented. Just prior to graduating from the Storm Wrestling Acadamy in 2015, Ellering made her in-ring debut for the Prairie Wrestling Alliance, teaming with her mentor Lance Storm against the team of Brett Morgan and Gisele Shaw. Since then, she’s appeared for over 25 different promotions and built a reputation as one of the top female talents on the independent scene today. Featuring one of the most devastating spinebusters in the wrestling industry, Ellering is a noted powerhouse; look no further than her first-round matchup with Hiroyo Matsumoto in this year’s Mae Young Classic for evidence. 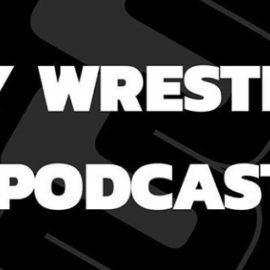 It appears as though WWE is serious about shoring up its women’s division; from the recent signing of Chelsea Green to today’s report of both Karen Q and Ellering, it appears as though we’re only in the early stages of the Women’s Revolution. 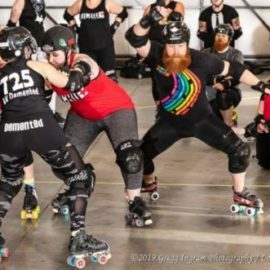 Oil City Roller Derby is Back on the Track!